Gain access to our Live Trader’s Community, Critical Zone Forex Trading Course, Hand-Picked 3rd Party Study Content, Mentorship Program, Private Group Chats, and the Live Play-by-Play Trading Floor Channel. No other mentors/courses/programs offer this! Unlike others, we are REAL full-time traders. 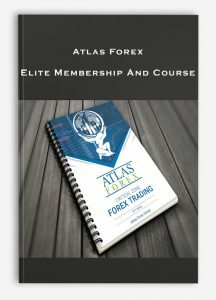 You will receive a printed and bound copy of our own personally written Course Textbook that highlights the Basics, Critical Zone Technical and Fundamental Analysis, Risk Management, Japanese Candlestick Patterns, Price Action, Fibonacci Trends, Advanced Chart Patterns, and tips of achieving the proper Traders Mindset. Trade and engage along side other members and students. We will work together to find the best trade setups and discuss market news and conditions. Members will also be able to interact and discuss the weekly trade setups and work together to crush the markets. Access to daily, weekly, and monthly technical analysis for multiple currency pairs though the Private Member’s Only Trader’s Portal. This includes entry/exit targets and the Critical Zones marked out for you to follow and trade with extra confluence. Access the best handpicked third-party content that we have used to get us to where we are today. With so much garbage on the internet, we have filtered though and gathered the most important material for you. Reading and studying this content will take your skills to the next level as quickly as possible without wasting time on useless material. As demand dictates, we will host Live Webinars about key topics from our course or any issues the group may be having. Ongoing course updates, additional content, and priority help though your own Forex Journey. We will be hosting a series of challenges to award monthly top performers, most improved, most dedicated, and exceptional students with cash rewards deposited right into your live trader account. As we grow and learn together the Atlas Forex Group will only get stronger, create more content, and continue to benefit you as a students and member of the community.